You might remember this couple from their Los Angeles Arboretum engagement session couple of months ago before this big day. We’re definitely still not over that one. All the lovely little details was so them. When a wedding is set amidst lush greenery and foliage, it’s romantic, refreshing and invigorating. We have always loved a wedding that is surrounded by nature’s best. River walk Golf Course San Diego is the lovely venue for Rianna ad Dylan road to forever. The undulating fairways and manicured green areas with visually stunning backdrop creates an array of picturesque imagery. We want to capture the connection between the couples photograph in which reflect the relationship between a couple. And here is the perfect one. Riana chose the most beautiful details and accessories for her wedding day. Her gown was a showstopper and was stunning sparkled in just the right place. Riana looked a dream in her long, floating veil. We were lucky enough to have a beautiful golden light by the time came for the portrait shots. Dylan and Rianna had previously had an engagement shoot with our team so they’d already gone through that learning curve – they could just focus on each other and enjoy. The beautiful landscapes gave us plenty of opportunity for soft-focus backdrops and wonderful images. Dylan during portraits would guide her so tenderly with the placement of his hand on her back. It was incredibly chivalrous and romantic. The bridesmaids and groomsmen was such a happy chaos. There was such an exciting vibes. For the new Mr and Mrs. Carangalan, thank you so much for having us join your special day. You guys were such a joy to work with. We wish you nothing but love and happiness. Looking forward to watching your family grow and all the good things life has to offer you! 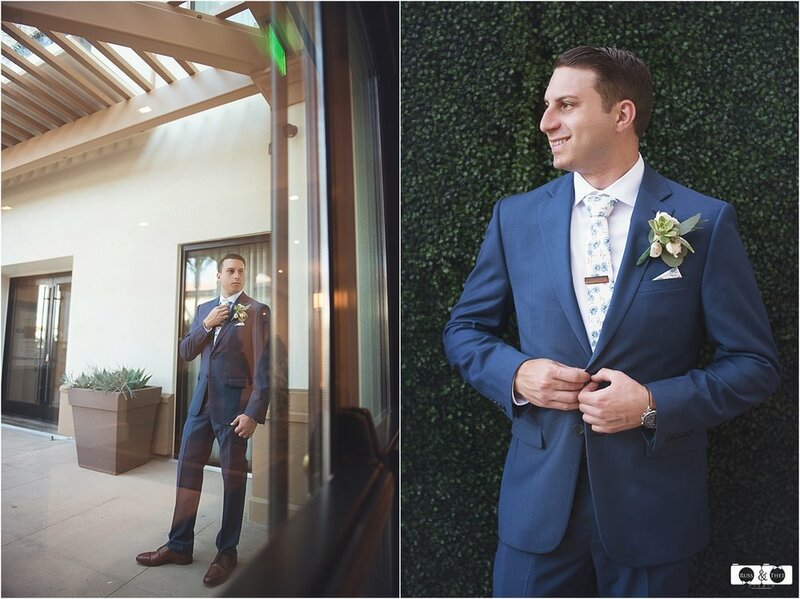 Below are just handful of our favorite wedding photographs from this amazing day at Riverwalk Golf Course San Diego. You might remember this couple from their Balboa Peninsula and Victoria Beach Engagement shoot. We are definitely not over with that one, because this is it! Where the sky kisses the blue and clear sea. Where we soak in the view of Pacific Ocean. When the sun is out; the soft and warm rays that tell us that this is the perfect day. Sophath and Lucy’s wedding is very much like this day- genial, familiar, perfectly wonderful. What are the chances that your former classmate comes into your life years later? That’s how charming their love story was. Serendipity, indeed! And the next thing they know is sitting next to each other and exchanging their eternal vows. And that’s how destiny works. The wedding celebrations seemed like a season to us, one that was pleasant and vibrant. It is smothered with lots of rose colored details to make those loving hearts beat a little bit faster. And the bride’s stunning gown. So much gorgeousness in that wedding dress, we should say! We had the best time running around to click photos with them. A close set of friends and family graced the occasion with more than enough space for us to move around and capture the moments. The quiet smiles; the stolen glances; that care-free random touch. These things are all unspoken yet tinkling loud and clear in every intimate wedding we get to see. And don’t forget all of Sopath and Lucy’s countless looks of love plus all the happy faces (and happy tears) of their friends and loved ones. We are very sure that everyone had fun and enjoyed that day. It was heartfelt day of celebration, filled with high spirits, warm smiles and hopeful wishes! Cheers to our hardworking Team for doing a fabulous job in snapping all those precious moments and they are all for you to see! It was such a lovely day! Thet and I love to shoot in a view like this. Picturesque. Hilton Waterfront Beach Resort has amazing views of the ocean. Beautifully festooned and endowed with well-designed backdrop. But this wedding was so much more than that. It is Issa and Claire’s (who’s engagement session you might have seen a while back at Victoria Beach) wedding. They are both graphic design artist. I remember when Issa told us about Claire. “She is the most gorgeous and exceptional dancer for me. She is the ballerina of my life.” There was a sweet laughter that only Issa could bring out form Claire, and the look in Issa’s eyes when he was looking for his future wife. Together, they glow in elegance with warmth emanating from them. It was a celebration of how these two amazing people managed to find each other way, and how this quiet love saw them all the way through to this day, and every day after. There couldn’t be a more perfect moment for these two lovebirds. We are grateful to be part of this intimate gathering. We remember Issa and Claire’s wedding as the elegant intimate weddings with many guests. I know that sounds strange using the word “intimate” for a big wedding. But going through the photos, these were the people who genuinely loved them and celebrated with them. So maybe intimate has nothing to do with the number, but with how much you are loved by the people around you. And they just happen to have many who do. The over-all atmosphere of their wedding is similar to the familiar feel of home. It has that familiar scent of love and a quiet sense of beauty. It was the day that has full of excitement and abundance of fun and laughter. Their reception was so alive! Everyone was dancing. It was the celebration of celebrations, filled with nothing but love and beauty. Our team is proud of giving you no less than a love story. Believe us, this is one gallery that you wouldn’t want to miss. Scroll down to see more of these captured love story as shared by Russ and Thet Studio.